Thank you to everyone who supported our Joint Commission survey visit last week. The 11 surveyors on site included specially trained physicians, nurses, clinicians and administrators representing The Joint Commission. They took a very close look at our hospital system’s operations and processes to identify our best practices and opportunities to improve. Many of you participated in interviews with surveyors and shared your expertise and insights. What always strikes our UF Health Shands team about these survey visits is your experience, commitment and passion for the organization. You put patient care first and work so hard to make sure we’re doing all we can to deliver excellence with each patient experience and to ensure the best possible operations of a complex organization. The preliminary report found no significant findings that were unexpected. We know what we have to work on, and the survey identified some process variations and lapses that require our attention. The Joint Commission survey team will deliver our official report within 10 days, and we have 45 days from the end of the survey to work on corrections. A survey team will revisit us on or before July 2, 2018. 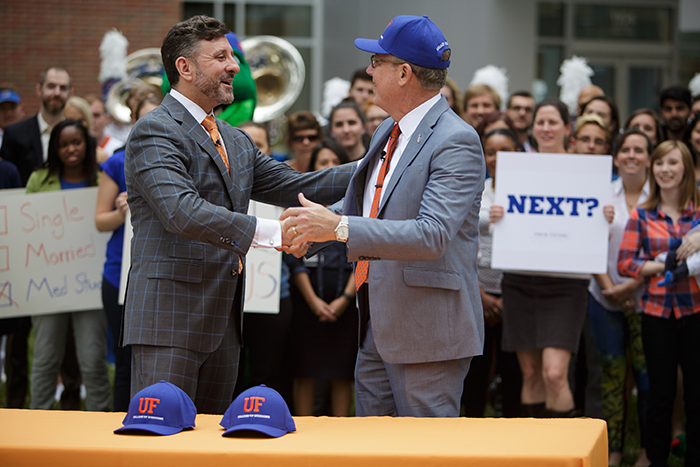 Thank you in advance for your work to address opportunities and continue to improve the way we provide care and service at UF Health Shands.